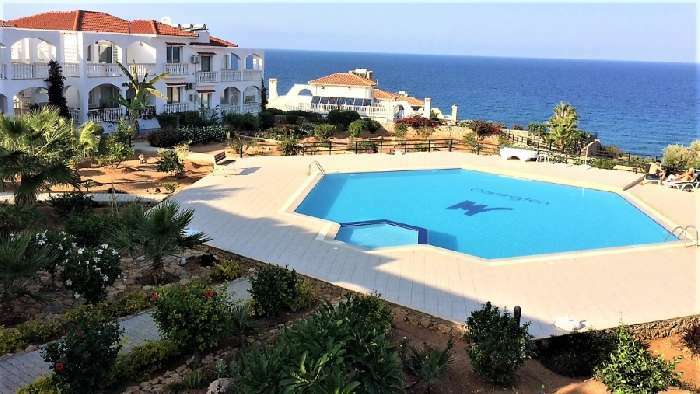 Marina View Apartments is a quiet development located in Bahceli on the east coast of Northern Cyprus close to the village of Esentepe in the Kyrenia region of the island. It is a gated complex of twenty four apartments with stunning panoramic views of the sea and mountain backdrop, only 1.5 km from Kyrenium Golf Club, 10 km from the unspoiled Kyrenia old harbour and within easy drive of Karpaz Gate Marina Beach Club awarded International Marina 2017. This is a luxury, 70 sq m penthouse apartment for sale in Cyprus with a spacious and light open plan living room and dining area. The modern kitchen has space for white goods in which the vendor will install a new oven, hob and extractor. There are two double bedrooms each with floor to ceiling fitted sliding door wardrobes having views over sea or mountains. Air conditioning is fitted throughout. It boasts a large balcony which overlooks the established prestinely maintained landscaped gardens and communal terraced swimming pool with shower whilst taking in spectacular views of the sea and sunsets. There is ample designated parking adjacent to the property with shops, bars and restaurants located nearby. All taxes are paid together with Government charges for a recently completed piped water supply from mainland Turkey. The vendor will also pay twelve months property and ground maintenance charges upon sale completion if the full asking price is met. Individual Title Deeds have been been granted for the property and lodged with a local solicitor. Marina View Apartments were built in 2011 to a very high standard by Carrington Group an award winning property developer recognised for their exceptional build quality. 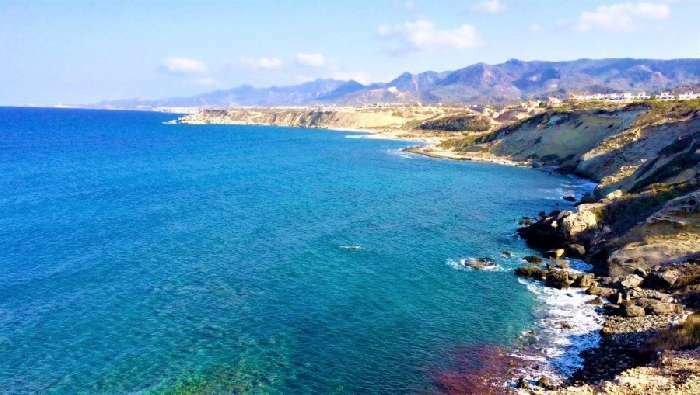 It is a perfect base for walking or hiking in North Cyprus also for relaxing family holidays by the pool on provided cushioned sun lounges or as a holiday let investment. This is a fine family holiday home to buy in Cyprus and viewing is highly recommended.